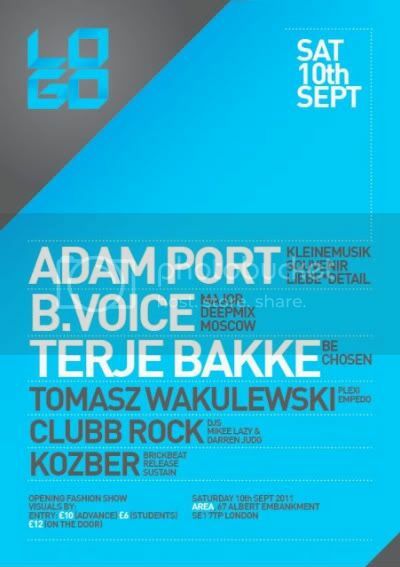 On 10th September 2011 LOGO will launch it's first event at Area Nightclub, giving the club a creative twist by combining music and fashion under one roof. We will be featuring a selection of top underground DJs and VJs as well as showcasing upcoming designers in an edgy and exciting fashion show. Techno's biggest flaw is its self-referential tendency. You know the deal, the common contemporary DJ/Producer steals an Underground Resistance-Record from his older brother at the age of 16, thus presuming to have found the holy grail. His world is shrinking down to Detroit, Chicago, New York and Berlin within the following years, he’ll equip himself with records and turntables and not look over the rim of his MKII ever again. What Adam Port is laying his hands on might have its place within the parameters of House and Techno, but it’s always more than that. It’s his style. B.voice simply means the voice of man which name starts since "B". More than 10 years of his career Vasily Bvoice became the same sign of the Russian club life as blue light of Mix-Club or the sequrity in Propaganda club. He appears in the best dancefloors across all USSR (RIP) and the last time across the world - from Thailand till Columbia. Terje Bakke has been in the electronic dance music scene since 2004. He has released music in different genres of the scene. Recently he signed for labels such as Be Chosen and Soulfooled to reach another level. Hailing from cultural Bergen, Norway he has had the chance to form his own characteristic style which could be described as soulful repetitive rhythms with a touch of modern melodies. Tomasz's love of electronic music began in 1993. Born and raised in a small city in Poland - Bielsk Podlaski, he was exposed to the House Music movement at 17. His style then was a mixture of House and Detroit Techno. On moving to London in 2003 his Dj sets began to take shape. Now Tomasz Wakulewski is part of generation of Producers who are blurring the boudaries between Techno and Electronica performing in London's Shoreditch bars and clubs. CLUB ROCK are DJ and production team Mikee Lazy and Darren Judge. Known for rocking parties and dancefloors all over the UK and Europe individually for the last 15 years. Their turntablist inspired DJ sets and years of experience sees them bouncing off each other playing their brand of big beats, dirty basslines, exclusive mash-ups. They have supported acts such as De La Soul, DJ Yoda, Afrika Bambaataa, DJ Jazzy Jeff, Cash Money, and DJ Craze. 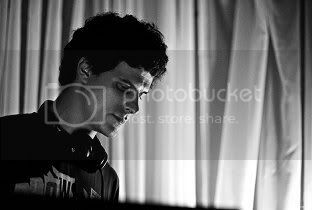 Krzysztof Kozber - AKA sirius, DJ and producer originates from Bydgoszcz (Poland), but is now living in London.He joined up with other Minimal Techno DJs Temba, a collective of DJs. Immediately after that in 2006 he joined Brickbeat. Sirius also produces his own music taking inspiration from Minimal Tech, Hip Hop, BreakBeat and Jazz. Bvoice simply means the voice of man which name starts since "B". More than 10 years of his career Vasily Bvoice became the same sign of the Russian club life as blue light of Mix-Club or the sequrity in Propaganda club. He appears in the best dancefloors across all USSR (RIP) and the last time across the world - from Thailand till Columbia. H E A D L I N E S ! LOGO is coming this weekend and we are getting pretty excited!